They were household names for decades, and they still hold an important place in our collective consciousness. But these once-bright business stars are dimming, and may soon fade out entirely. 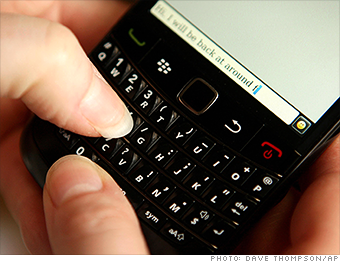 The BlackBerry used to be so popular and addictive it was nicknamed the Crackberry. Now it's a cautionary tale. BlackBerry (BBRY) started losing market share when iPhones and Androids came on the scene. The company clung dearly to the keyboard handset beloved by millions for too long. By the time the company rolled out its own touchscreen phone, it was too late. Newly installed CEO John Chen is trying to orchestrate a turnaround, and the company even posted a small profit for its first quarter as it tries to shift from handsets to software. Whether or not it succeeds one thing is for sure: That keyboard belongs in the Smithsonian.